Usia 18 - 25 Th. 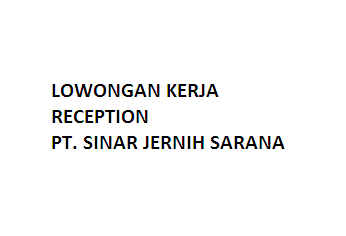 0 Response to "LOWONGAN kERJA RECEPTION PT. SINAR JERNIH SARANA"